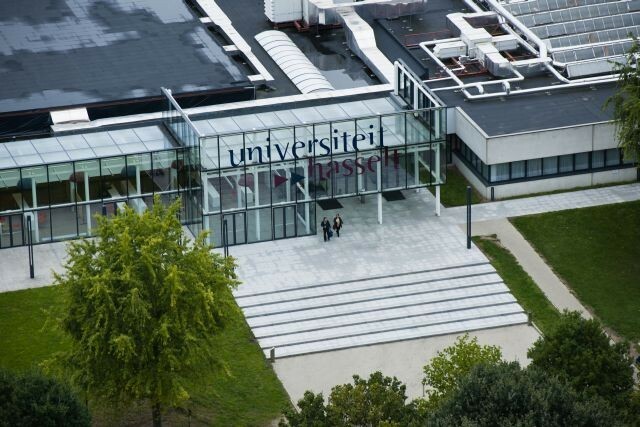 The University of Hasselt has signed an agreement with Metrotile. The collaboration will cover six domains – from developing innovative products to the approach to the waste disposal problem. “UHasselt has the requisite expertise in the field of material research, while Metrotile is active in research into roof covering materials. So this agreement is the start of an optimum synergy between both parties,” says Sergio Canini, the founder of Metrotile. “The collaboration fits in with the strategy of Uhasselt to act as a knowledge centre for supporting and expanding the manufacturing industry in Limburg – and, by extension, Flanders,” comments Rector Luc De Schepper. A major emphasis in the agreement is on (product) innovation. “After all, in the metal roof panelling niche innovation is an important building block for success,” says Sergio Canini. Thus, proposals for new products, coming from Metrotile’s partners, researched by Uhasselt and Metrotile, will be optimised and – eventually – implemented. In the event of defects to or specific questions about one of Metrotile’s products, researchers will carry out an analysis. Analyses like these will not only enable Metrotile to give a well-supported answer to partners, but are also important for product innovation and development. The collaboration will also focus on sustainable development, with special attention to the waste disposal problem. Researchers will map out the environment situation at Metrotile and in this way locate the various sticking-points. The aim is to interweave ecology and sustainability even better into the processes and products of Metrotile. Metrotile’s production process will be continually monitored, evaluated and adjusted to best advantage, with a view to increased production capacity and efficiency. In collaboration with Uhasselt, Metrotile will carry out periodical quality tests on raw and auxiliary materials. These will include tests for the sustainability of the steel being used (thickness, protective layer, etc.) and the colour-fastness of granulates (aging processes, UV-resistance, etc.). The collaborative agreement also provides for comparative research into similar products on the market, thus providing better insight into the quality being supplied (impermeability, noise reduction, etc.). This input will enable the company to monitor, improve and expand the position and potential of its products better. The research moreover offers new prospects for product development and new markets.